The turboexpander market is projected to reach USD 390.8 million by 2023 from ~USD 290.6 million in 2018, at a CAGR of 6.61%. This growth can be attributed to the increasing share of natural gas in primary energy consumption and increasing focus on energy efficiency. Natural gas is a key fuel in the electric power and industrial sector because of its fuel efficiency. Thus, rising natural gas production is creating demand for turboexpanders in hydrocarbon applications. However, high initial costs involved in small-scale installations can hinder the growth of this market. The hydrocarbon segment held the largest share of the turboexpander market in 2017, and is estimated to hold the largest share (by value) during the forecast period. Hydrocarbon turboexpanders are relatively large in size and delivers power output ranging between 1,600 kW and 20,000 kW. Hydrocarbon applications includes liquefaction of petroleum gases, liquefaction of natural gases, dew point control, FPSO LNG, regasification, and nitrogen rejection. Increasing natural gas production by major oil and gas economies such as North America and Middle East is expected to drive the hydrocarbon turboexpander market during the forecast period. Asia Pacific is expected to be the largest market for turboexpanders in 2023, expected to grow at the highest CAGR during the forecast period. China accounted for the largest share of the turboexpander market in Asia Pacific in 2017. Countries such as China and India are driving the turboexpander market in Asia Pacific. These countries are focusing on increasing natural gas production and are investing in refineries. Natural gas production and consumption levels are set to increase in China, owing to growing demands for turboexpanders. Moreover, Indian Oil Corp. (IOC) plans to invest USD 10.4 million (INR 70,000 crore) in India to increase its oil refining capacity from 80.7 million tonnes per annum (MTPA) to 116.55 MTPA by 2030. All these factors are expected to drive the growth of the turboexpander market in Asia Pacific. In-depth interviews have been conducted with various key industry experts, subject-matter experts, C-level executives of key market players, and industry consultants to obtain and verify critical qualitative and quantitative information, as well as to assess future market prospects. Note: Others includes product engineers, product specialists, and engineering lead. The leading players in the turboexpander market include Atlas Copco (Sweden), BHGE (US), Cryostar (France), Air Products and Chemicals (US), and L.A. Turbine (US). The report defines, describes, and forecasts the global turboexpander market by loading device, application, end-user, and region. It also offers a detailed qualitative and quantitative analysis of this market. 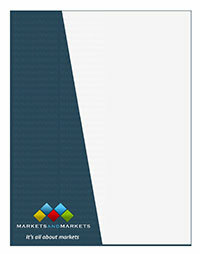 The report provides a comprehensive view of the major market drivers, restraints, opportunities, and challenges. It also covers various important aspects of the market. These include an analysis of the competitive landscape, market dynamics, market estimates in terms of value and volume, and future trends in the turboexpander market. This report identifies and addresses key markets for turboexpanders; this will be helpful for manufacturers wanting to assess demand growth. This report helps system providers understand the pulse of the turboexpander market and provides insights into drivers, restraints, opportunities, and challenges for the same. This report will help key players have a better understanding of strategies of their competitors and in making strategic decisions.